Get the best Minecraft games, toys & collectibles at BestBuy! It’s amazing how much children can learn during play time. Unstructured playtime at that. While setting time aside specifically for educational purposes is still a great thing, there is so much that can be learned when children are just allowed to imagine and be creative. Minecraft is a game that allows kids to do just that. It’s a favorite of my son Andrew’s, and his excitement over Minecraft has begun to rub off on the rest of us in our family as well. 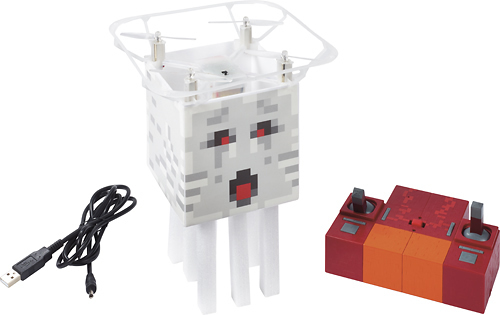 Minecraft products allow children to build and expose new worlds. The game is about placing blocks and going on adventures. You can explore randomly generated worlds and build everything from intricate castles, to simple homes! It all depends on the time and creativity you put into it! Best Buy has an amazing assortment of Minecraft games, collectibles, and other products. 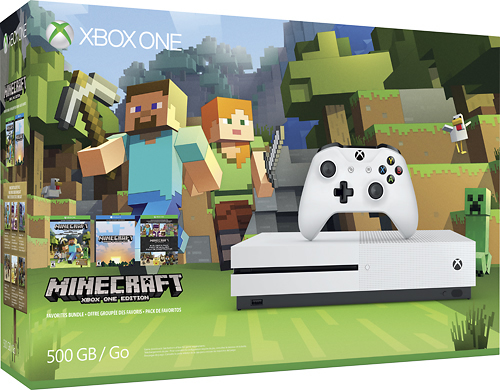 This assortment includes an Xbox One S console bundle, additional games, and Minecraft toys and collectibles! Minecraft games are a fun activity for the whole family, and a great way to bond with the kids. 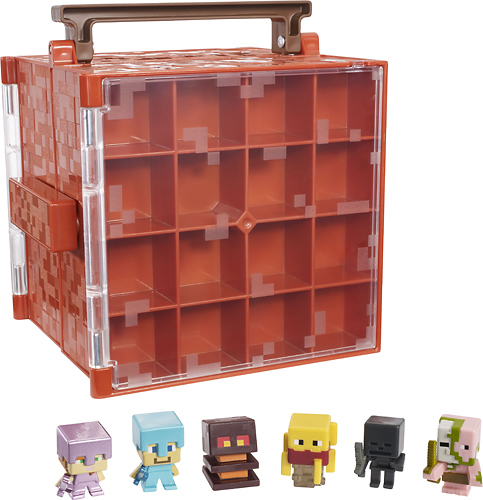 If you’re looking for a great gift for someone who is already a Minecraft fan, Best Buy has Minecraft toys and collectibles that are perfect! One of the best things about Minecraft is that you can still have just as much fun playing it alone, as you can with family and friends. When you play Minecraft in creative mode, you have unlimited resources available which allows you to stretch your imagination. In Survival Mode, you can craft weapons and armor to fend off dangerous mobs! I must admit that when Andrew first started playing Minecraft, I never in a million years expected that it would be something we’d be able to enjoy as a family together! I’m so glad that we all started playing. If you aren’t familiar with Minecraft (or even if you are) be sure to hop over to Best Buy and check out all the options in their Minecraft section! You’re guaranteed to find something you, or the person you’re gifting, will absolutely love! Isn’t giving the point of the holidays, after all? Don’t stop at just giving a gift this year, extend the gift of creativity and family time too! What’s your favorite Minecraft product? Tell me in the comments below! ← Celebrate the Joy of Coming Together – KC Steak Co. Giveaway!